Attach to your keys for easy system control or place in your home to create a panic button for emergencies. Attach this to your car/house keys so you can always arm & disarm your system at the push of a button. As an added layer of security, some customers keep one in the bedroom on their nightstand. This creates a panic button that can be pressed to trigger an alarm in the event of a home invasion or emergency. 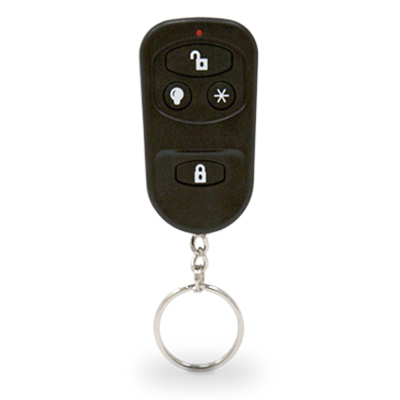 We recommend you have at least 1 keychain remote for remote system control beyond the mobile application. This ensures you’re always in control. With the custom notifications our mobile app comes with, you can get notifications whenever your system is armed or disarmed.